This group has an early departure fee of $50. Pet Policy: We welcome dogs to our hotel. Max of 2 dogs, at max weight of 50lbs each. A $25.00 fee per dog per stay will apply up to 3 night stay, 10 dollars per night after 3 nights. Signed waiver required. Please call hotel for more details. Step in and relax! 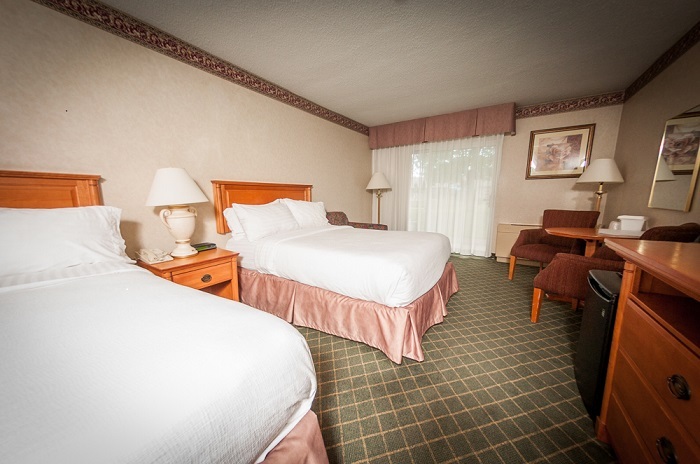 This room features sliding glass patio doors, an invigorating showerhead, and heated bathroom floors! Stay connected with free Wi-Fi, and enjoy a movie on new 32-inch flat screen tv. Sleep tight on a pillowtop mattress! Relax like a king! This room features sliding glass patio doors, a sleeper sofa, invigorating showerhead and heated bathroom floors. 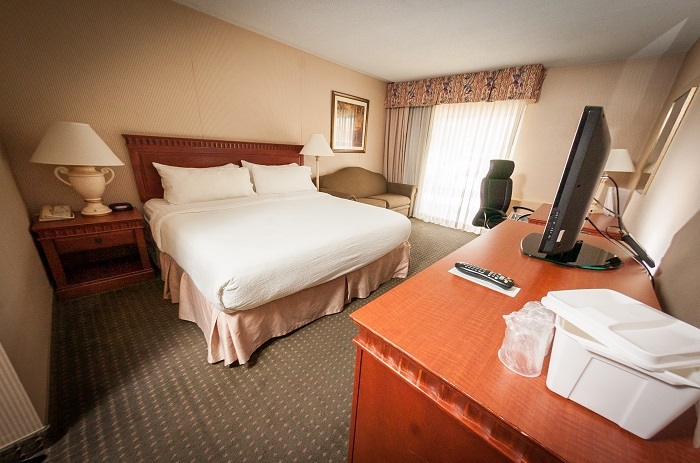 Stay connected with free WIFI, and enjoy a movie on new 32 inch flat screen tv. Bring a drink to chill in your own mini fridge. Sleep tight on a pillowtop mattress!